We all love the idea of hand-made, customized invitations and announcements, favors or thank you notes... but, for most of you, there just isn't enough time to make them. for all your personal greetings and favors. You're probably wondering… What is a Choubox Scrapbook Greeting? Well, it's pretty simple actually. It's a mini-scrapbook, a party favor, a thank-you note and an announcement – all rolled into one. 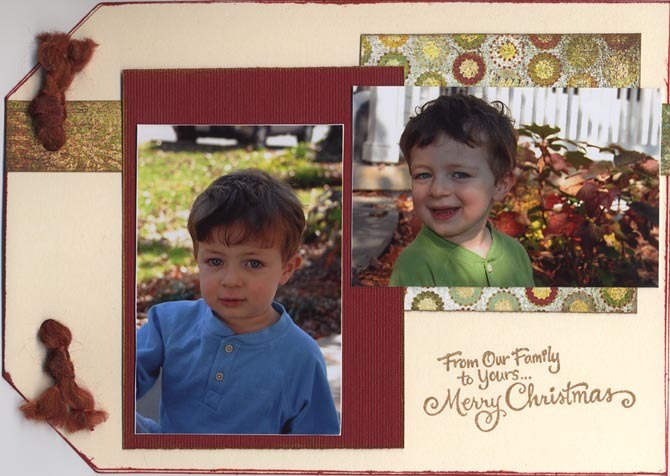 The great thing about Choubox Scrapbook Greetings is that they have multiple uses. You can decide to leave the outside of the envelope plain and mail your memories, or I can create an even more personalized greeting by decorating the outside of the envelope, so you can use it as a favor. All color-coordinated to match your theme! 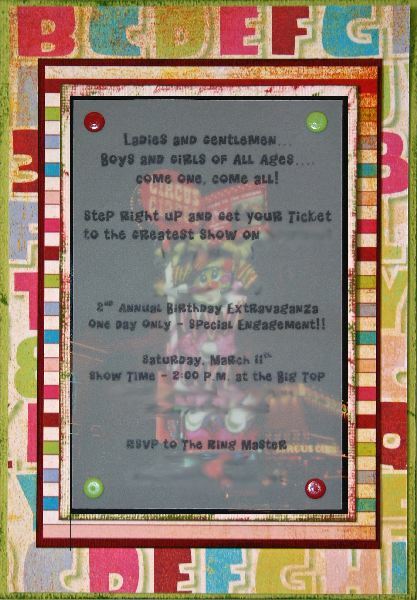 Moreover, a hand-made invitation, announcement or favor can serve as the basis of your scrapbook pages related to the event and you already know it's made from quality, acid-free products. I have been hand-making announcements, save-the-date cards, birthday invitations and party favors, since my twins were born two years ago...and (believe me) they've provided a lot of material. Upon approval of the final design, half of the total cost of the order is due before production will begin (PayPal account required for payment). As each greeting is hand and custom made, the cost per greeting varies from order-to-order, but a basic, picture greeting runs about $4-5/each (this includes an envelope). 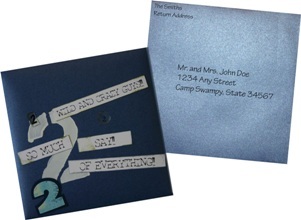 When ordering, think way ahead, as if you were ordering wedding invitations. Average orders take about two months to complete. Two-week FREE consultation period: This includes the definition of your exact needs, the creation of sketches and the approval of the final design. Most of this will be done electronically. One to two weeks to order supplies. This will vary depending on what exactly is needed and whether you will be providing pictures to include in the greetings. One month to create your greetings. Remember: These are hand-made greetings and it is my goal for all customers to be 100% satisfied with the end product. So, I choose to take a little more time when creating the greetings instead of turning the product around faster and risk making mistakes. In every step of the process, you will be kept informed as to the status of your order. NOTE: Rush orders can be accommodated on a limited basis at extra cost. So... Don't settle for "cookie cutter" greetings anymore! To learn more about how we can create customized invitations and announcements for your next event, all you have to do is fill out the form below.